We now have oyster seed for sale! We will gladly accept orders for seed for your small oyster garden. In 1989 the State of Alaska passed legislation permitting the farming of approved shellfish species in coastal waters. 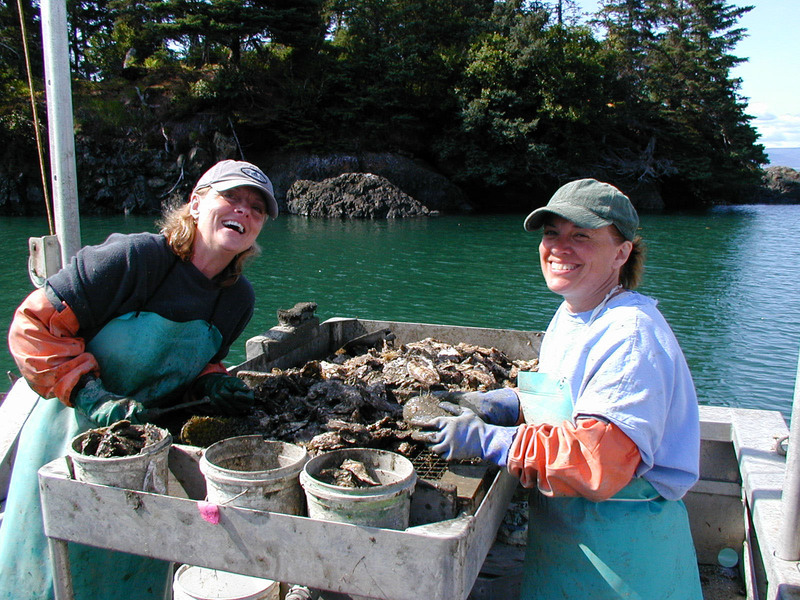 By 1993 approximately ten oyster farms were established in Kachemak Bay. The farmers soon realized that farming also involved educating the community, working for clean water practices, and struggling with political regulatory agencies. Thus, the farmers joined together in 1994 and formed an agricultural 501c5 tax exempt nonprofit -- Kachemak Shellfish Mariculture Association -- to address such issues. 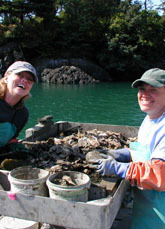 KSMA has continually committed itself to educating the public in shellfish mariculture, supported water quality practices and policies, and contributed to related nonprofit causes. Educating the public on shellfish mariculture practices, policies, and opportunities via seminars, forums, written informational materials, web-sites, and classroom outreach. Sponsor scholarship opportunities for youth apprenticeships and extended education. Network with related marine science programs to further enhance the health and productivity of Kachemak Bay. Avail its member farms with information relating to the best and most efficient farming practices and technologies by partnering with agencies, other businesses, federations, or university resources. To partner with other experts to research , develop, and/or obtain harvesting and maintenance equipment and technology for member farms.